Welcome back to our series on cracking open Universal Orlando’s crystal ball. 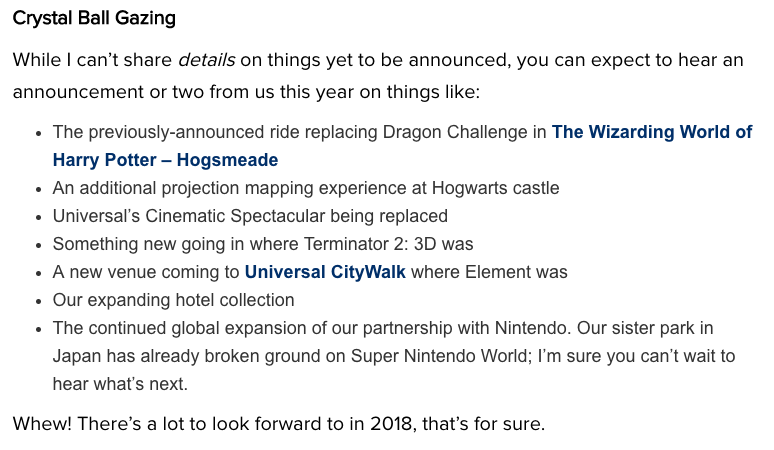 As you may recall, in early January 2018, Universal Orlando made a blog post about upcoming announcements the company would be making throughout 2018. We here at Theme Park University have taken it upon ourselves to crack open their self-promoted crystal ball. 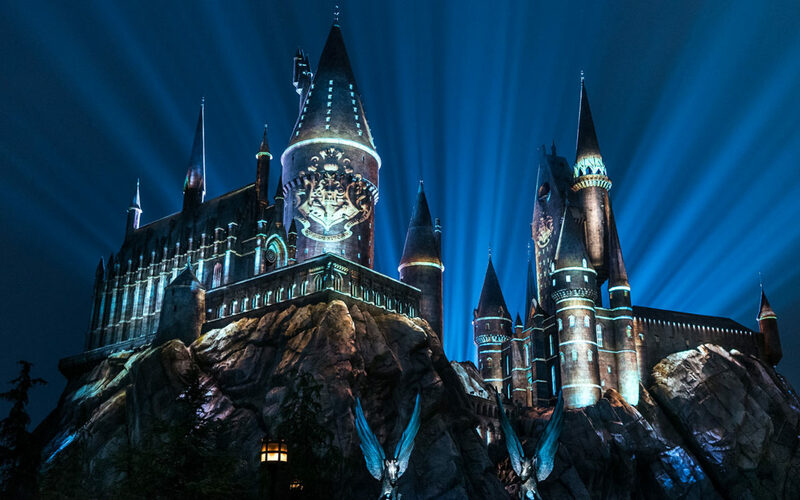 Our first article was about the new Harry Potter projection show coming to Islands of Adventure and the results are in. Low and behold, it turns out we were right! The new projection show will be the one that debuted at Universal Studios Hollywood in May 2017. The Nighttime Lights at Hogwarts Castle will hold a preview during the Celebration of Harry Potter on January 27 and 28. There are select dates during January and February 2018 as well. At this time, no further dates have been listed but you can bet your bottom dollar you’ll see more of this “new” Harry Potter Projection show at Islands of Adventure during peak season. As promised, we will continue cracking open the Universal Orlando crystal ball throughout the year. Next up, we are going to discuss what will replace Element in CityWalk. Anyone else craving a snack? This entry was posted in Universal and tagged crystal ball, Harry Potter Projection Show, Islands of Adventure, Universal Orlando. Bookmark the permalink. Trackbacks are closed, but you can post a comment.